Stephen J. Kowalczyk,D.D.S.,LLC. (Danbury) - Book Appointment Online! Welcome! If you are looking for a gentle, courteous, and friendly dentist, you've come to the right place! 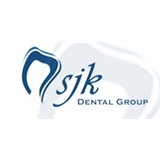 Dr. Stephen J. Kowalczyk and dedicated staff provide advanced family and cosmetic dentistry for every major dental need.